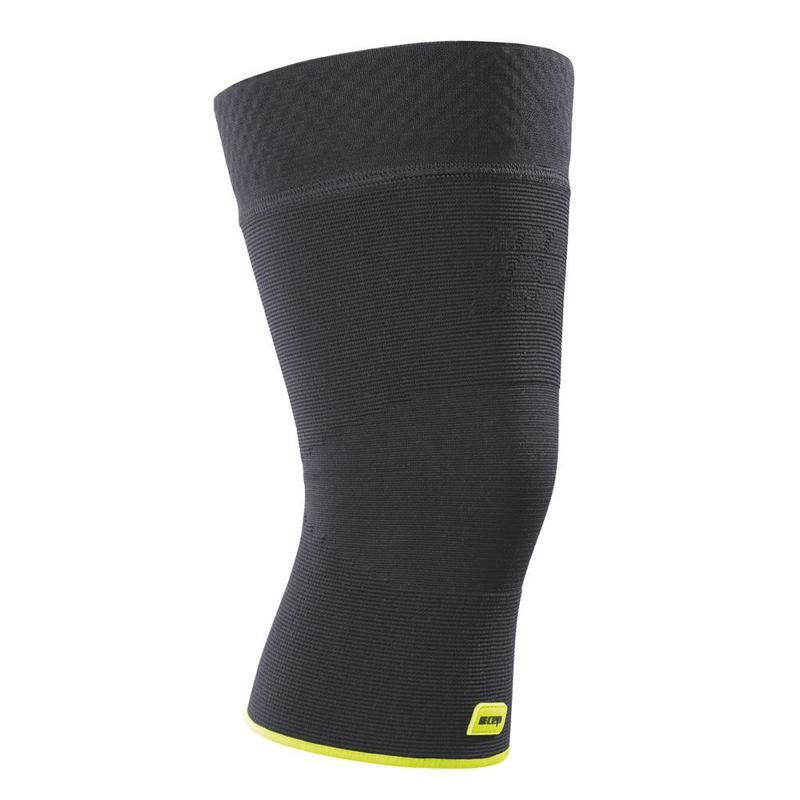 The CEP Knee Sleeve adds joint support through targeted compression. It also improves circulation to help the body recover from injury by cycling blood and fluids to injured muscles and joints faster. By reducing the swelling in the knee, athletes can get back in the game more quickly with greater freedom of movement. Our Knee sleeve is a certified medical device meaning that it has been developed and constructed to the highest tolerances in a factory that meets very specific guidelines. The 3D design of the CEP Knee Sleeve ensures a perfect fit around the knee so it can be worn effectively under any circumstances. The Silicone dots on the top band ensure a stable fit under the most demanding conditions. The CEP Knee Sleeve is perfect for use by players of any sport that puts strain on the knees and participants want to continue playing without restriction.